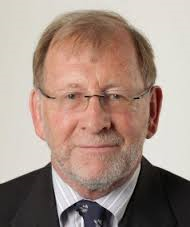 Greater Wellington Regional Council has voted to increase regional rates by an average of 5.9%. This amount was forecast in its Long Term Plan 2018-28. The Council says: ‘The decision was made after considering of the impact of unprecedented increases in residential property valuations in some parts of the region last year. valuations has had a big impact on our rating systems and we needed to take this into consideration when setting rates for the next financial year. “Council had originally considered a 6.5% average rates rise for our 2019/20 Annual Plan, but we were all concerned about the impact on particular areas and property types and we have taken the time to reconsider this to reduce the impact on communities. “This is a problem that our territorial authorities are also facing, with Wellington City Council recently announcing a plan to change their differential allocations between residents and businesses to reduce pressure on ratepayers. “To keep the rates rise at 5.9% Council will make up to $800,000 of reductions in the overall budget, including reducing the contingency held for legal processes as part of the Natural Resources Plan and using additional amounts from reserves. “We have had a good look at our organisation and while the reduction in funding isn’t ideal, we are confident we can continue with our key work programmes as set out in the Long Term Plan and build better infrastructure and ensure greater resilience and wellbeing for the Greater Wellington region,” says Cr Laidlaw. The Council also decided to apply a business differential to Wellington City general rate to provide a fair and equitable balance between residential and business rates. This will require a specific amendment to the Revenue and Financing Policy and Annual Plan 2019/20, both of which will be formally consulted upon during April and May this year. A 6.5 percent increase! This is outrageous and reflects an organisation out of control, with no ability to work efficiently and within reasonable fiscal means. The one million dollar plus glorified staff smoko-hut and meeting rooms in Queen Elizabeth Park hasn’t helped to keep rates down. 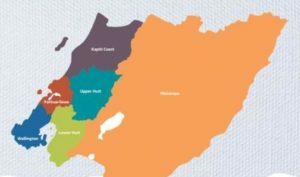 Kapiti should break from the Regional Council and manage its own affairs…..